Born in Odessa (Ukraine) 1907. Studied at Odessa Art Institute 1928-31. Active in Odessa. Member of ARMU. Important shows include "All-Union Art Exhibition", Moscow, 1947; "All-Union Art Exhibition", Moscow, 1950. Taught on preparatory art courses, Odessa, 1931-41. Also a graphic artist. 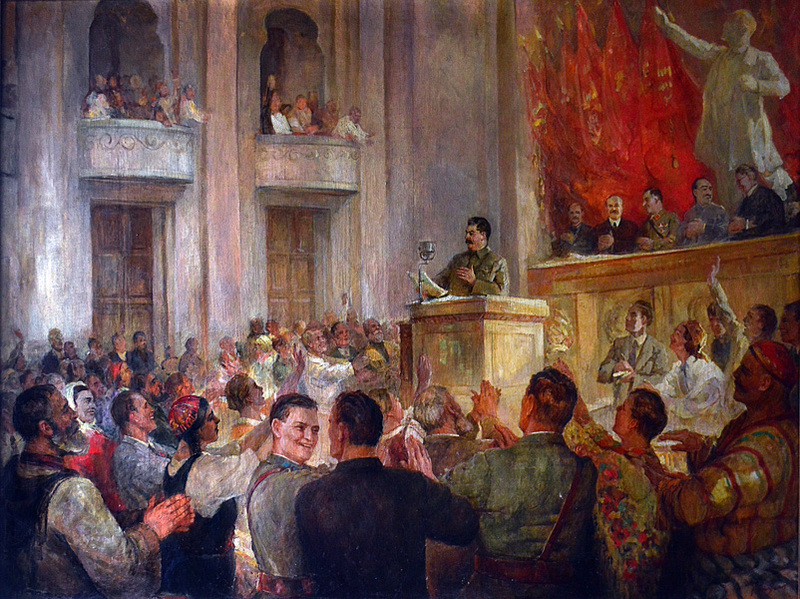 "Stalin at the 8th Conference of the Highest Council", oil on canvas, 165 x 220 cm.